British Poker Award nominee Jack Salter is the man to beat heading into the final table of the World Series of Poker Asia Pacific Main Event. 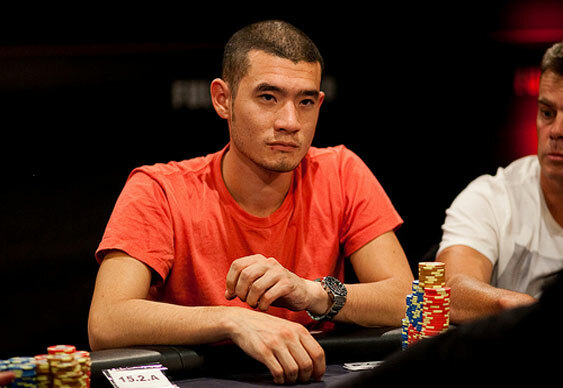 The Londoner rocketed to the top of the chip counts after winning a huge pot that sent Victor Teng to the rail in seventh. The pair the chips in holding big pocket pairs but Salter's kings were plenty good enough to consign Teng to the final table bubble. Salter will start the final table with 3,255,000 giving him a healthy advantage over America's Scott Davies 2,210,000 and Taiwan's Henry Wang (1,700,000). Frank Kassela (1,250,000), who is chasing a third WSOP bracelet, sits in fourth with America's Kyle Montgomery (950,000) and Aussie Ang Italiano (510,000) rounding out the final six. Salter's stellar 2014 has seen him nominated for the Breakout Player in the British Poker Award nominations following a string of top performances. Chief amongst them were victory in the six-max event at the Aussie Millions and a runner-up finish in the EPT Grand Final Main Event where he pocketed €765,000. A WSOP bracelet would provide a lovely cherry on top of what's already be a pretty tasty cake. The final table starts on Saturday at 3.30pm local time (5.30am UK time).